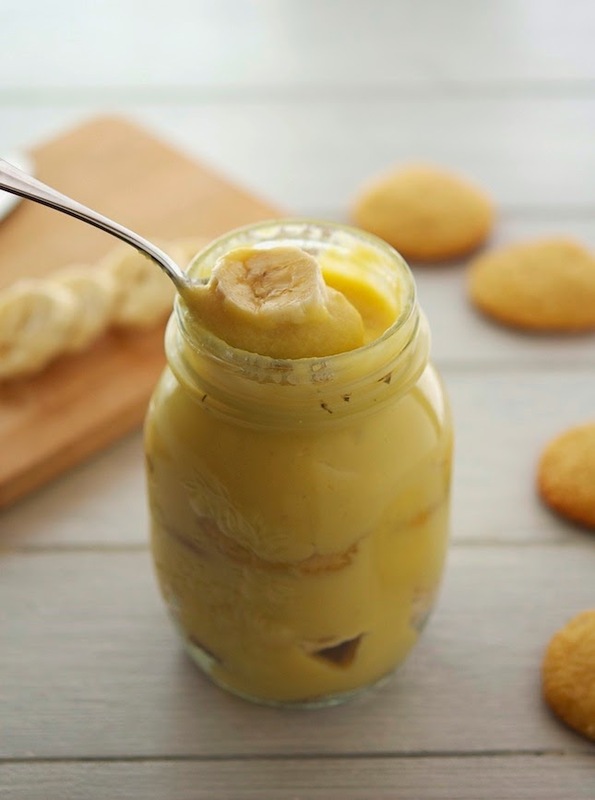 As you may remember, last week I baked a batch of pretty darn awesome (Paleo) Nilla Wafers with just one goal in mind, whip up some banana pudding during the weekend. It turned out great; so great, I offered some of that pudding to a couple of friends I had over for dinner... and before I knew it, there was none left. Like none, nada, zip, zero, zilch. This, under normal circumstances, is fantastic; there’s no more satisfaction for a cook than seeing no leftovers of the food you offer. But you see, I hadn’t taken pictures of the banana pudding yet, and in the food blogging world not taking pictures equals to a catastrophe of epic dimensions. I’m talking about “Release the Kraken!” or Death Star destroying entire planets or the Chitauri fleet invading the Earth, that kind of catastrophe. Catastrophe as in you have to start all over again from square one. Buying the ingredients, baking the wafers, assemble pudding, let it rest and then hope, hope there’s still a ray of light outside that will allow you to take decent pictures. Good enough to make you guys wanting to try it out. Because this is the point of this whole site and what I do. Inspire you in making the recipes I create. Right? OK, moving onto this banana pudding. I’ve labeled it as “paleofied” because strictly speaking, dairy is not paleo, it’s primal. But I’m not a bg fan of the word primal, it makes everything sounds so...you know, basic. But I’m not worried about the semantics nor the labels of this healthy dessert; you already know that it’s gluten-free, grain-free and refined-sugar free. But what really matters here is that this banana pudding tastes a million times better than the “regular” one. It might be the (Paleo) Nilla Wafers, it might the coconut sugar, it might that when you make something from scratch it usually turns out better than the original. Anyhoo I just wanted you to have something sweet after dinner tonight, made of real food ingredients that won’t leave you with a high-carb hangover. Paleofied Banana Pudding Print this recipe! *arrowroot powder acts like cornstarch. In a bowl whisk egg yolks and ¼ cup sugar. Stir in arrowroot powder until completely dissolved. Place half and half, milk, remaining ½ cup sugar into a medium saucepan with a heavy bottom. Bring to a simmer over medium heat, stirring occasionally to help dissolve the sugar. When it comes to a simmer, scoop out about 1 cup of the mixture and add to egg yolks whisking constantly to temper the eggs. Pour egg mixture into the saucepan and cook over medium-low heat for about 2 to 3 minutes, until thickened. Remove from the heat and add vanilla extract. Let cool completely. 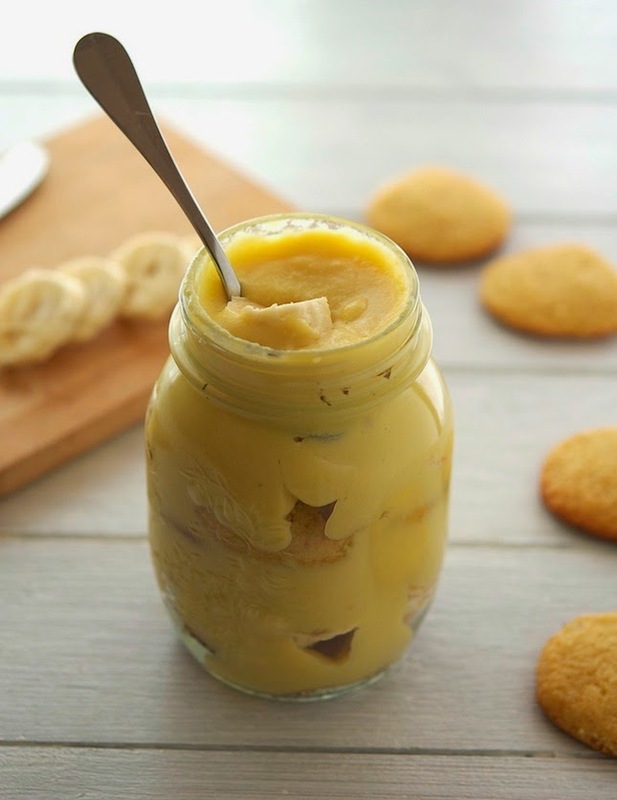 To assemble banana pudding layer a 2-quart casserole (or single ramekins, jars or cups) with pudding, Nilla wafers and banana slices. Repeat until all pudding is used. One serving yields 354 calories, 15 grams of fat, 52 grams of carbs and 6 grams of protein. 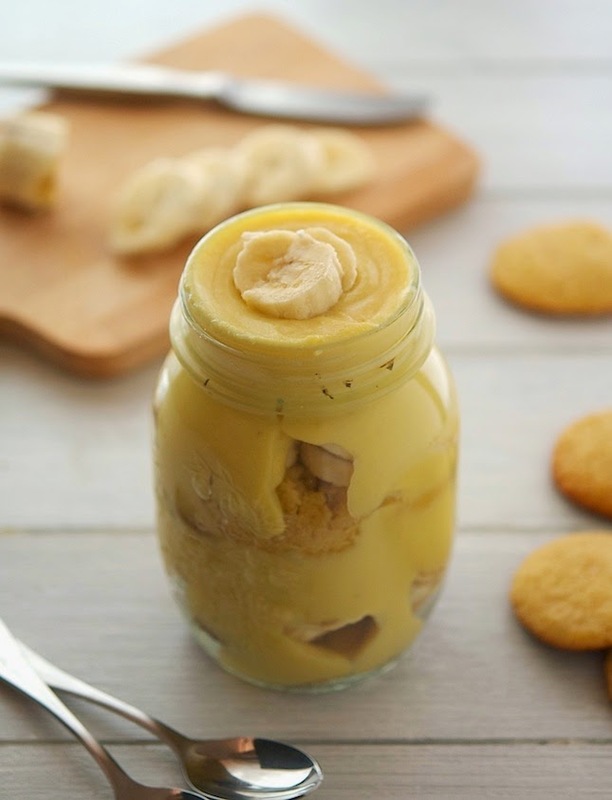 Mike - I adore banana pudding and love your lightened up, healthier, "no carb hangover" version! I think we're in for some serious business Shashi. I'll send you banana pudding and in return I want some of those purple pancakes. Have we got ourselves a deal? Oh my...that makes me miss not be able to eat bananas big time!!! P.S I am following you now on Bloglovin, wanna do the same? Been waiting for this banana pudding and it sure did not disappoint, looks amazing! This looks sooo good! I love banana pudding! This looks amazing, Mike! I've been waiting for this ever since you teased us with the nilla wafers last week. Nice job, man! "But you see, I hadn’t taken pictures of the banana pudding yet, and in the food blogging world not taking pictures equals to a catastrophe of epic dimensions." Dude, there is nothing... NOTHING... more horrible in the blogging world than not getting a chance to take the photos before consuming. Aghhhhhh epic catastrophe hahahaha. No pictures -> no party. Innit? I know what you're talking about. Sometimes my brothers eat all the cookies before I get to take some pictures and it drives me crazy uuuugh. Until I remember that it's just another chance to bake them and eat the raw cookie dough hehehe. This pudding looks bomb. What a perfect healthy treat! I could kill your brothers if I were you. Clearly you are much more patient than me Co! Dude are you kidding me? I have never liked bananas but your photos are making me want to turn into a monkey and eat bananas all day long. I am drooling so much I need to go grab a bottle of water to replenish my lost fluids! How come you don't like bananas. Are you not a descendant from monkeys like us? Do you actually come from outer space? Half and half is basically milk mixed with cream. You can make it at home by mixing four parts whole milk with one part heavy cream. Thanks! That sounds easy enough, I will give it a try! Hi, is there anything I can substitute for half & half? I am allergic to milk, I drink almond milk. Thank you.